In most European countries, there is a great need for further education and competence development of professionals supporting young people with violent behaviour. To fulfil this need, innovative approaches based on quality guidelines are required. In a comparative research-practice transfer project, partners from Germany (ZfKJ Freiburg), France (IRTS Rennes), Sweden (University of Halmstad), Poland (University of Warsaw), and Switzerland (FHS St. Gallen) co-operated for two years to implement and evaluate two different strategies for further education based on the quality criteria developed in a previous study. 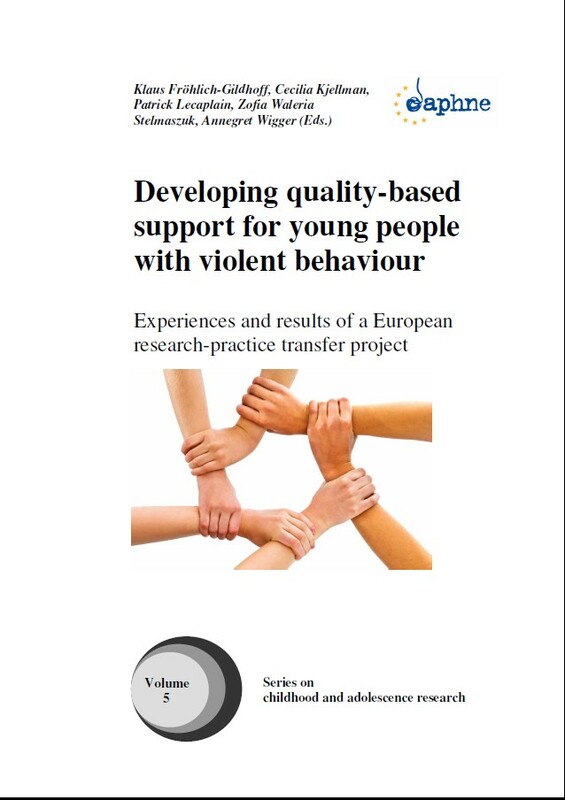 These quality criteria aim at improving co-operation between different help systems, describe necessary changes in professional attitudes and methods and present more effective strategies for institutions to support young people with violent behaviour. The project has resulted in a validation of such pivotal quality criteria, and driven forward recommendations for the implementation of competence development measures. The book addresses practitioners working in different fields with the target group of children and adolescents and their parents, as well as students, lecturers and researchers.